We are a family owned and operated restaurant that has been located in Uptown New West since 2000. We take pride in using fresh ingredients and home cooking. Yianni's has a selection of authentic Greek food. Along with serving all the traditional Greek fare we also have a wide selection of wines, beers and spirits. We offer a selection of Greek wines, our house wine is imported from the Tsantali vineyards in Greece and our Greek beer is Mythos imported from the Thessaloniki brewery in Greece. 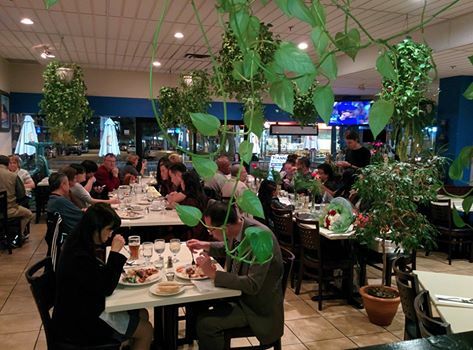 The restaurant has won multiple Best in New West Greek Restaurant awards. We cater to both families and corporate clientele. The blue and white interior is inviting and warm with a cozy ambiance. We like to be involved and a part of our amazing community and do our best to give back where we can. Our pride is our loyal customer base that continues to grow. We are very thankful how our community has embraced us and hope to grow with our community. We also do offer catering. Inquire within for rates.